The dawn of the railroad age at Yelm Prairie began integrating residents into the national economy. 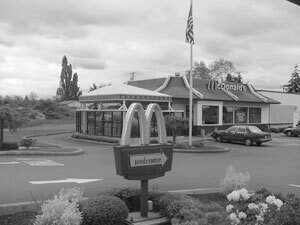 Buried somewhere under the Yelm McDonalds restaurant may be a veritable trove of pioneer artifacts, tools, and mementos from a century and half ago, when Yelm had barely started. On this spot was where homesteader George Edwards built the first house inside city limits, sometime between 1850 and 1860. Edwards, an Englishman who came to the area as an employee of the Hudson’s Bay Co. and became an American citizen, at one time owned most of what is now Yelm. 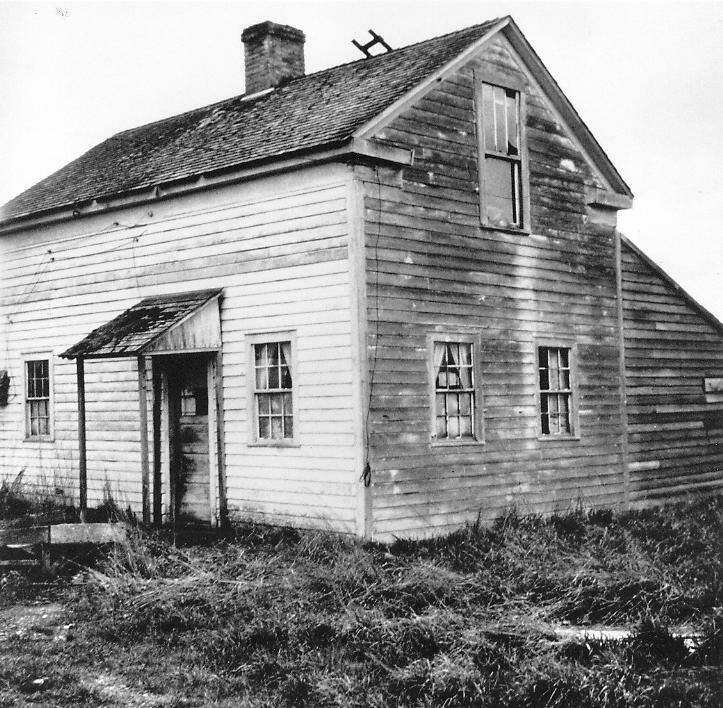 Currently, the Yelm Historical Preservation Committee is working to put the original Edwards homestead on the city’s historical register. Citing the location’s association with the city’s pioneer history and the importance of the Edwards family in the local past, the city plans to erect a historical marker on the site and put up photos or an informational display inside the restaurant. According to local historians Edwards came by ship from England, joining in Hudson’s Bay Co., an English company traded in furs and explored throughout the Northwest. He worked as a gardener and laborer at Fort Nisqually until 1851 when he became an American citizen. He left the fort, breaking his Hudson’s Bay Co. contract. During the Puget Sound Indian War of 1855-56, Edwards served in the Washington Territorial Volunteers. In 1856, he married a Nisqually Indian woman named Mary, who was also a niece of the Klickitat chief. Edwards was the original owner of most of the area now occupied by northwest and southwest Yelm. He gained the land under the Donation Land Claim Act of 1850, which was designed to reward settlers to help win the boundary settlement in the west. At the spot where the Yelm McDonalds and a car wash now stand, he built a two-story gabled farmhouse with attached shed. The building, which may be the first such structure in the Yelm area, stood for over a century until it was leveled by an arson fire in July 1960. Yelm Historic Preservation Commission chairwoman Ronnie Nutter said last week that the group will vote September 6th to include the property on the town’s history list. After that, an enamel marker will be set up in the small grove in front of the building, and members are working to get permission for an informative display, with photographs, to be hung somewhere in the store. Nutter said the most of the locals who know about Yelm’s history are growing old, and that kids don’t see or hear much about the early settlement. Scarlet fever has prevailed to some extent in the vicinity of Yelm station, and the district school has been discontinued in consequence of prevalence among the children. I have had but little educational advantages. I started to school first in a log cabin school house in Indiana. 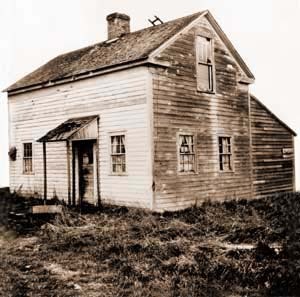 When father took up his claim on Yelm Prairie, I helped to cut down trees and dragged them to the place chosen and then helped to build a log school in which I became one of the first pupils. One of the teachers in that school was Dillis B. Ward, now a pioneer citizen of Seattle. Later I went to school at Chamber’s Prairie and part of the Indian war years I was in school at Olympia. Some of my pioneer schoolmates were John Yantis, John Miller Murphy, the veteran newspaper man, and Hazard Stevens, son of the Governor. Rev. George F. Whitworth was one of my teachers and so was Mrs. Hyde and Mr. Cornelius.